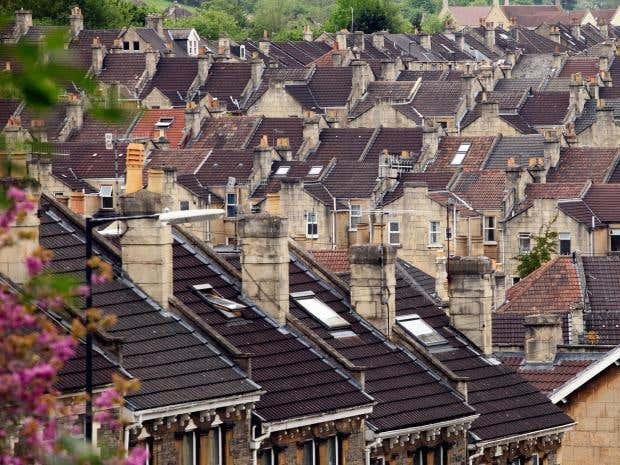 UK homeowners desperate to sell their property in a slowing market have slashed their offer price by an average of £25,562, according to new figures from property website Zoopla. An analysis of house price data across its website for November reveals that 35 per cent of properties on the market had been marked down, with average prices in London being cut by more than £50,000. As a proportion of property price, Stockton-on-Tees saw the largest reductions, with homes in the town marked down by £13,350 – or 8 per cent on average – since being listed. This was closely followed by Darlington and Bishop Auckland, where property was reduced by £12,285, or 7.88 per cent, and £10,573, or 7.86 per cent, respectively. In London, 39 per cent of property listings were reduced in price, up from 37 per cent that were cut during the month of July. The average price reduction in London was £53,251 – or 7.4 per cent. Kensington and Chelsea was the most discounted borough in value terms, with prices knocked down by £129,559 on average – representing 7.9 per cent of the total property price. Camberley in Surrey had the largest proportion of discounted homes, with 54 per cent of properties marked down from the original price by an average of £30,382, or 6.7 per cent – the property website found. Zoopla said that towns in Scotland and Northern England have proved more resilient to discounts. Just 16 per cent of homes in Edinburgh were reduced in November, followed by Salford where 19 per cent were cut, Glasgow at 22 per cent and Manchester at 25 per cent. Lawrence Hall, spokesperson for Zoopla, said the increase in the number of reduced properties currently on the market is good news for first-time buyers. “A slight rise in levels of discounting is to be expected at this time of year when house hunters are likely to be delaying their property search until activity picks up in January,” he said. “Those on the lookout for a bargain should consider looking in Camberley or Kingston-upon-Thames in the South, or areas of the North East, home to some of Britain’s biggest discounts,” he added. Housing market activity remains subdued. Rising inflation and low wage growth have led to affordability pressures, with many buyers adopting a more cautious approach and putting off purchases. Recent figures from Nationwide show that house price growth slowed again in November, with average monthly property prices edging up just 0.1 per cent. House prices had previously risen 0.2 per cent in October and 0.4 per cent in September.